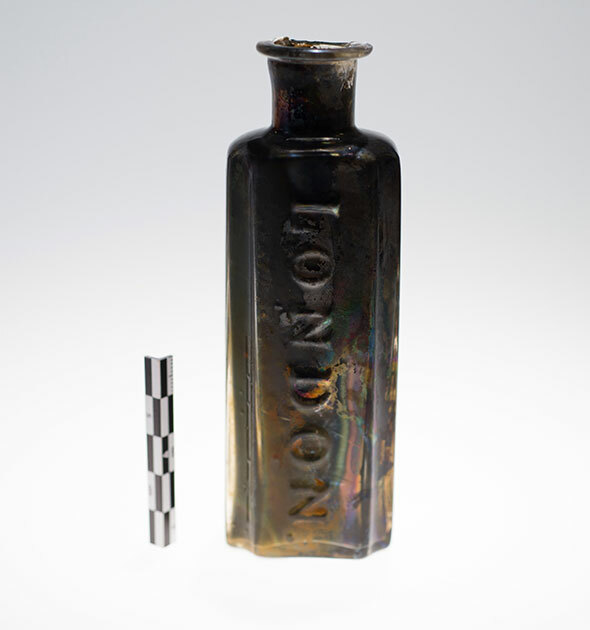 Artifacts recovered from the HMS Erebus help solve the 160-year mystery of the doomed Franklin Expedition. 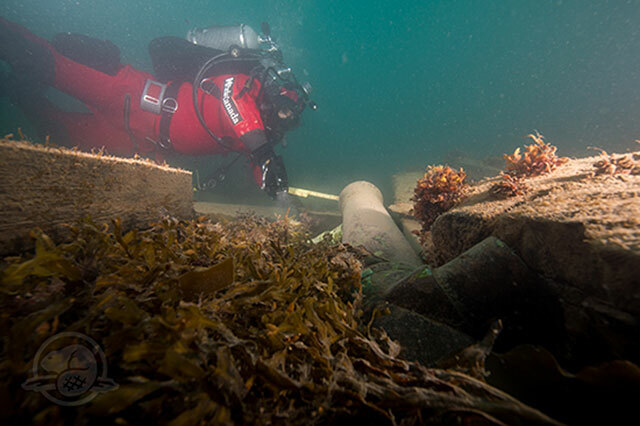 The fates of the HMS Erebus and Terror has been an enduring mystery since they vanished in 1846. Part of the British Royal Navy fleet, the ships were being lead by Captain Sir John Franklin on an expedition through the Northwest Passage in 1845. Both ships and the entire 129-man crew were lost. 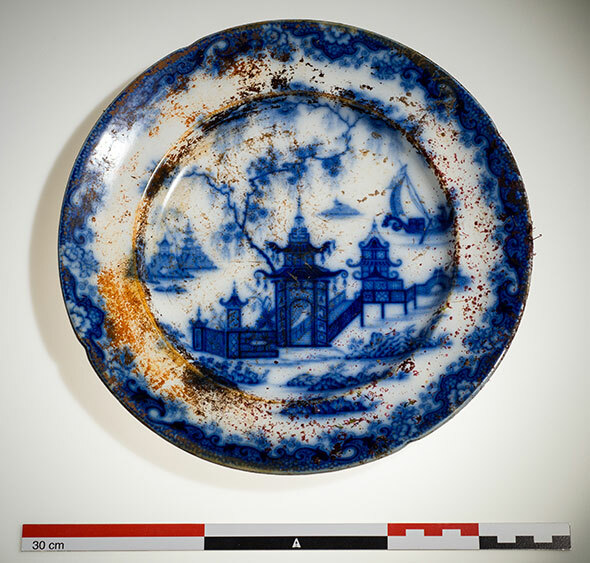 In the following years, search parties uncovered gruesome clues to the final days of the Franklin Expedition. Evidence began to piece together the disease and madness that gripped the crew when their ships became stuck in the ice, and they struggled to survive in the harsh environment. The Rae–Richardson Arctic Expedition embarked in 1848 along the route of the Franklin’s ships. They found no trace of the expedition, but heard Inuit accounts of some 30 members of the crew found dead at a makeshift encampment on King William Island. The mutilated corpses and contents of the kettles revealed desperate acts of cannibalism. This story was supported by hundred of bone fragments found with cut marks on the bones consistent with de-fleshing. 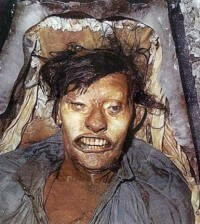 Later, bodies of three crew members were found mummified in the Arctic permafrost on Beechey Island. 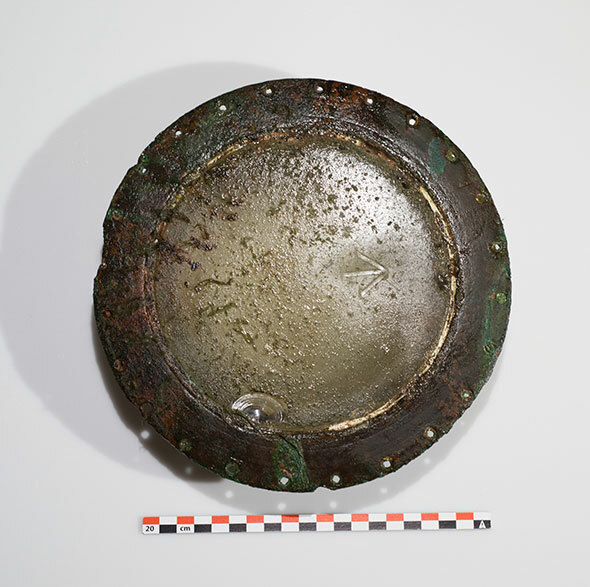 Analysis of the remains showed that, besides exposure to the extreme temperatures, it was likely pneumonia and lead poisoning from the soldering on their food tins, found nearby, that caused their deaths. The study suggested the men “would have suffered severe mental and physical problems caused by lead poisoning” before they died. A note found with the remains on King William Island written by Francis Rawdon Moira Crozier, Franklin’s second-in-command, stated the crew had abandoned the ships in April of 1848. 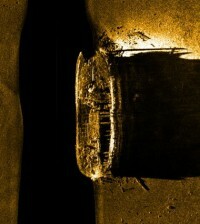 They had not been seen since, until the wreck of the Erebus was found last year in Queen Maud Gulf between Victoria Island and mainland Canada. 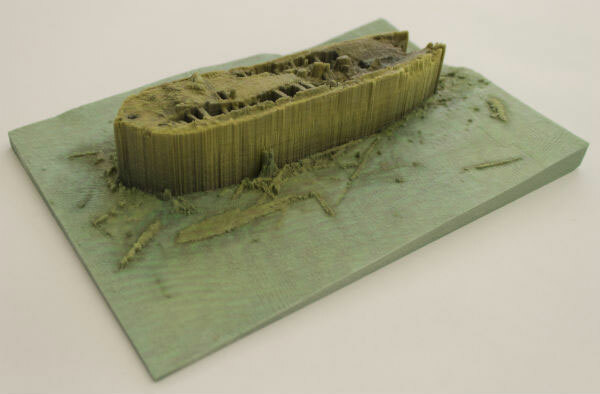 High precision 1:130 3D-printed model of the HMS Erebus wreck created by CARIS and TECTERRA. 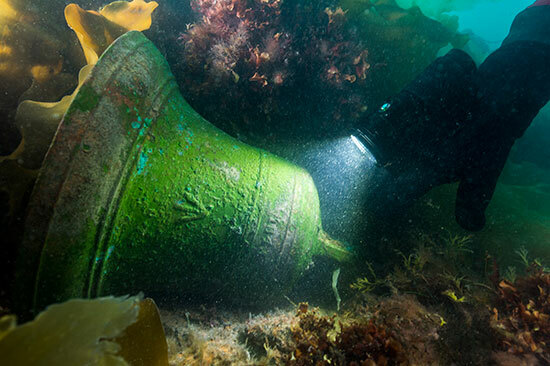 After boring through 6.5 feet of ice to get to the wreck, underwater archeologists have since pulled up numerous artifacts, including ceramic plates, rigging, a 680-pound cannon, and the ship’s bronze bell. 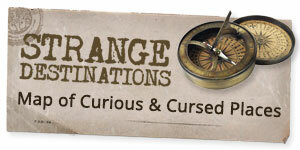 These items were on display briefly in May at the Canadian Museum of History. A virutal exhibit can be viewed right here. 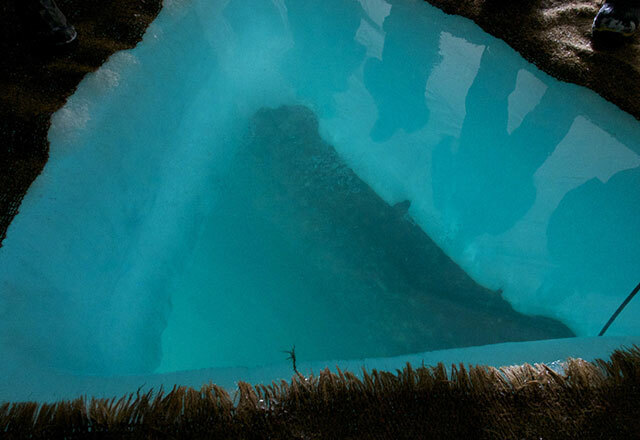 Hole cut into the ice so divers could reach the Erebus wreck.